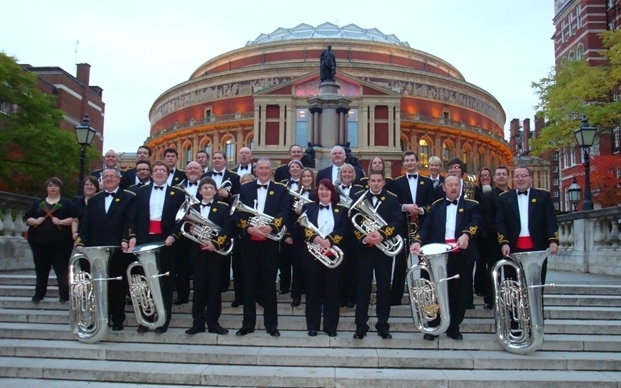 Tongwynlais Temperance Band have recently returned home victorious with a top 5 finish in the National Brass Band Championships of Great Britain. Cardiff’s championship brass band competed against the 20 best bands in the UK and as one of only four Welsh bands at the competition. “We qualified for the competition earlier in the year at the Welsh Regional contest in Swansea, securing a coveted qualification spot against a strong line up of Wales’s finest” says band Chairman Jason Bevan. Tongwynlais came away with 4th place winning much praise from both the day’s adjudicators and pundits alike. “The band gave an impressive performance that stood out for the judges. Working with a new conductor in legendary tuba virtuoso Steve Sykes, I’m pleased that the hard work and commitment we’ve seen from all the players is now reaping rewards. It is a great achievement and I’m really proud of everyone” added Jason. The band who are based in Llandaff North now have a busy schedule coming up over the festive period and they hope to capitalise on the success they’ve seen in 2012. You can see the band in action on their YouTube channel or keep up to date via Twitter.